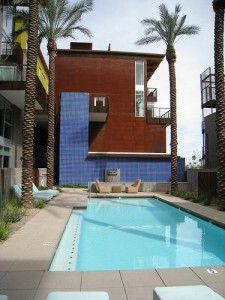 Safari Drive is a Downtown Scottsdale luxury loft condominium located at 4747 N Scottsdale Road, Scottsdale, Arizona 85251, built in 2008. 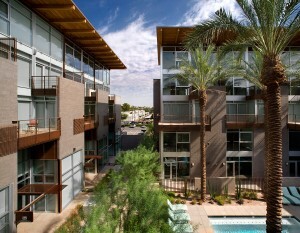 Amenities Include: Floor To Ceiling Windows, Colored Concrete Floors, Outdoor Terraces, Walking Distance to Shopping, Dining, Entertainment. Safari Drive is located in Old Town Scottsdale, directly across the street from Scottsdale Fashion Square, and within walking distance to multiple shopping, dining and entertainment options.